Second match of the season and an unbelievable loss for Valencia CF in which absolutely nothing seemed right. I mean I don't even know how to approach this match report, since there was no chances for Valencia CF all match long, apart from the goal I believe only Feghouli had a shot at goal and maybe two long range efforts that weren't even shots, they were so off target and on the other hand I don't know what the tactics were since it was one big mess with no wing play, no central play, with barely few passes tying up together. All in all it was a terrible match with no one playing good. The best player was probably Fuego who did break up few attacks and was generally secure defensively, also obviously Postiga and Jonas for the opening goal nice combination, but apart from that it was absolutely terrible performance by the whole team. RCD Espanyol on the other hand were patient and took their goals easily, the first one after a mistake by Mathieu not covering Lopez well enough, the second one was from a dead ball situation as well and again bad defensive positioning and the third was when Lanzarote passed between both Guardado and Fuego and passed the ball to Bifouma. So terrible defensive mistakes for the goals, terrible passing in midfield and anonymous forwards and wingers who basically did nothing. This is basically the summary of this match. I hoped for a solid 2-0 win and I got a big and terrible loss, now I'm rally frustrated and doubtful over the team. Instead of improving the team is worsening. I want the team to start playing good and winning and at the least be in the top 4 positions. How hard can it be against such worse teams who don't even have 1/4 of the finances or prestige that Valencia CF has. Why is winning against Espanyol such a hard thing to do? RCD Espanyol (3): Casilla; Javi López, Colotto, H. Moreno, Fuentes; Víctor Sánchez, David López, Stuani (Lanzarote, m. 78), Pizzi (Abraham, m. 63), Simao y Sergio García (Thievy, m. 72). 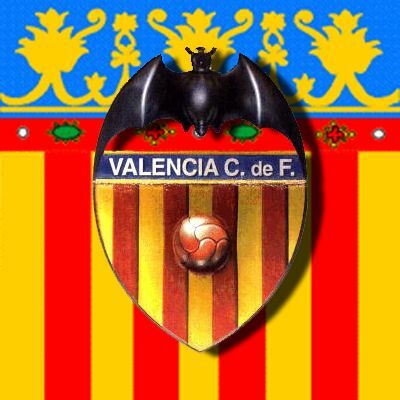 Valencia CF (1): Diego Alves; Joao Pereira, Rami, Ricardo Costa, Mathieu (Guardado, m. 83); Javi Fuego, Míchel (Bernat, m. 63), Éver, Feghouli (Canales, m. 70), Jonas y Hélder Postiga. Goals: 10min, 0-1, Postiga. 32min, 1-1, David López. 47min, 2-1, Stuani. 88min, 3-1, Thievy. Diego 5 - Three goals past him and while it was hard to do much for the goals, maybe with his positioning or if he went and punched the ball it would have made a difference, but its hard to judge. Joao 5.5 - Lively performance from Joao who tried to go forward as much as possible and the problem was he was the widest player on the right, Feghouli was nowhere to be found. Rami 5 - Another mixed performance, didn't make mistakes this time, but not a very secure performance and always seems kind of clumsy. R. Costa 5 - Suspected positioning for the second and third goal, but you could argue he had no choice as other players failed as well. Overall just as the overall defense not very good performance. Mathieu 4.5 - Failed for the first goal, was suspect at the back all night long and utterly to contribute when going forward. Fuego 6 - Best player of the night and had several interceptions and was helping out the defense, though when the defense was terrible itself it does make him worse as well as a defensive midfielder, but overall a good performance by Fuego. Michel 5 - Really anonymous performance from Michel who failed to start up on the night. I mean it was like a night and day difference between last match performance and this one. Feghouli 4.5 - Did absolutely nothing. If he wanted to play worse I don't think he could, his only contribution a shot on goal late in the second half just before he was substituted. Banega 5 - He is visible on the field and sort of struts around like he is the best player in the world, but most of his passing was terrible, he lost the ball often, didn't pressure opposition players, just overall doing much of nothing. Jonas 5.5 - Good combination with Postiga for the goal, but that was about his only contribution. Postiga 5.5 - Scored the goal and after that seemed like he disappeared from the field, this just shows the difference between him and Soldado, as soldado would have fallen back, move to the wing and just overall run across to do something. Bernat 5 - Didn't contribute too much either, had one good run and was a bit more lively than jonas on the wing, but that was about it. Canales 5.5 - Was active all over the pitch and added some urgency to the play, but I feel it was too little too late. Guardado 4.5 - Came in and contributed to Espanyols 3rd goal by being easily beaten on the side to allow for the assist that lead to the 3rd goal.